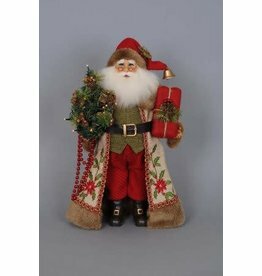 We are proud to offer Karen Didion Christmas and Halloween Collections. The artist designed Christmas Collection is one of our most popular and high quality. 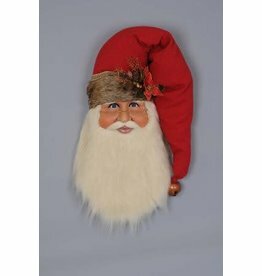 These Santa's are known for their unique look in traditional, vintage, and themed Santa Claus designs. 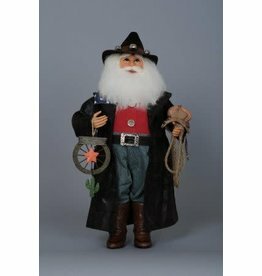 All of these collectibles are hand crafted with glass inset eyes, hand painted faces and hands, and beautiful, real mohair beards. Many of the new vintage figurines include ornate hand painted eyes and a very unique old world, rustic design. 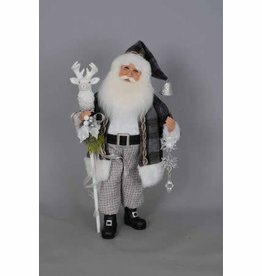 Each of Karen’s personal designs within the Christmas and Halloween collections are hand designed by Karen herself and each come with its own sewn in collector’s tag as well as a miniature artist profile on the back of each figurine. Many exquisite and unique fabrics are used to make each item’s clothing; such as imported tapestry, velvet, jacquard knit, satin, velour, suede and leather. Novelty prints and designer buttons set off the vests and coats. Faux fur, embroidery, unusual braid and tassels are used as trims. Each of these collectibles is reproduced with the highest quality and attention and are all personally examined and approved by a Didion before being placed in the home of one of our beloved collectors. Karen Didion Originals has found great success and has continued to grow over the years due to Karen’s passion, ingenuity, and creativity; the family’s hard work and dedication; and not least of all, our collectors’ continued love for the Karen Didion Originals collection.